The UK’s recent vote to leave the EU shocked many – but just how much of the market reaction since then makes sense or is likely to persist in light of underlying economic factors? And what long-term impact will Brexit have on the UK as an investment destination – or on the Eurozone and the wider global economy? Economist Peter Warburton, one of the few to foresee the global debt crisis, shares his thoughts in the latest Money Makers’ podcast, the first of a series about the likely impact of Brexit. Sign up to the Money Makers email newsletter to get a weekly round up of the best content and commentary from the site. 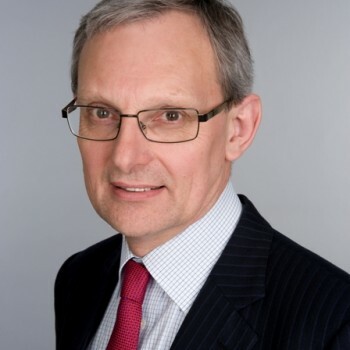 Dr Peter Warburton is the founder of the independent economics consultancy Economic Perspectives and an adviser to the wealth management firm Ruffer LLP and others. He spent 15 years in the City of London as UK economist and economic adviser for the investment bank Robert Fleming and at Lehman Brothers. Previously he worked as an economic researcher, forecaster and lecturer at the London and Cass Business Schools. He is the author of Debt and Delusion, subtitled ‘Central Bank follies that threaten economic disaster’, a critical analysis of the uses and abuses of debt in the global financial system, first published in 1999. He lectures on the Practical History of Financial Markets course, based at Heriot Watt Business School in Edinburgh, and teaches occasionally on a postgraduate course at Cardiff Business School. More details at www.economicperspectives.co.uk.